People who are traveling through this state that hosts Mardis Gras and has an excellent port-side city culture may be quick to realize that when very serious dental pain gets ahold of them, they could be scrambling through local phone listings trying to find an emergency dentist in Charles LA. When people go through lots of pain during a time when they are also worried about finances, it can really pose a huge burden for them, and it can seem like adding insult to injury. We began work on this valuable portal because we realized just how hard it was to locate an emergency dentist when time wore thin, and pain was overwhelming you. 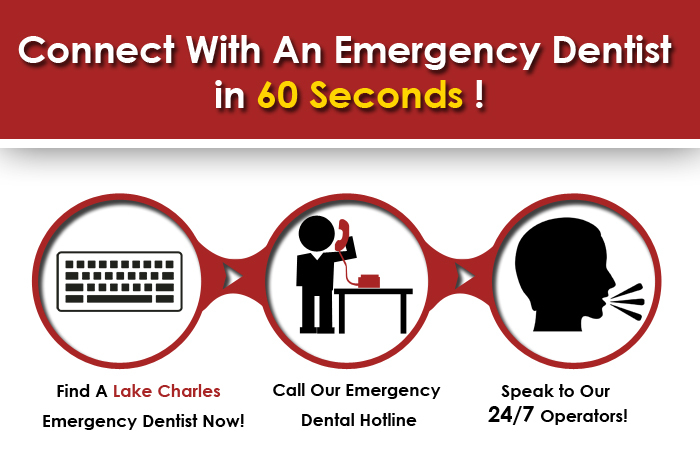 When browsing our index, if you’re not able to access a dentist, please make use of the Lake Charles emergency telephone number we provide to get appointments with weekend and evening dentists in Lake Charles . At any hour, 7 days a week you’ll be able to get to the staff at our urgent care dental hotline, simply call today and get put into connection with a Lake Charles urgent dental clinic. Many of the callers from Charles LA that are searching for after hours and emergency dental help are getting in touch with us for many various reasons. After speaking to some of the dentists on duty, we were able to round up some final data on what the most common dental emergencies were. One of them is a loose tooth, or tooth out of alignment. Some recommend trying to put the tooth back while using very light pressure, but trying hard to force it could only leave you with more trouble. 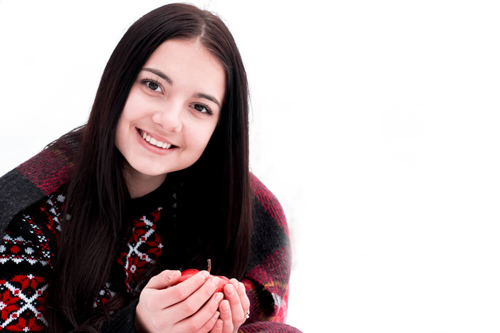 This is a situation where a very experienced emergency dentist will be able to judge best how to help you and see if the tissue and nerves within the tooth are damaged. The dental postings here are highly recommended by E-Dentists USA and every one of these emergency dental clinics have some type of urgent care consultations or evening and weekend care, however, not all of them are Twenty four hours. Use this database to start your own search for an emergency dental care supplier, if you’re not able to talk to a dental practitioner direct, or perhaps you only want to by pass the effort, please contact our 24 hour emergency dental hotline we offer. Let us solve your after hours dental situation using the 24 / 7 dental hotline we’ve provided to connect you with a local dentist. We have taken some time to perform the researching on your behalf through reviewing the emergency dentists in Lake Charles plus taking out those we understand to make available weekend, night time or urgent treatment. This type of treatment is turning out to be so essential that a little industry has been maturing all around servicing those people who are unable to reach out and meet with a dental practice during normal business hours. Services Right now is the time to call, we are available 24-7, and you can consult with our own emergency dentists Lake Charles LA voice service. Our providers will assist you while researching to find the best dental practice to serve you in repairing your dentistry emergency. If you want to look for a week end dental office, or a night dental office, we’re the Lake Charles service to suit your needs. Each of our connections and relationships puts us in direct exposure to the best dental practices for emergency situations all around the U.S.A. Description Dr. Harry Castle would like to assist you as well as take care of the dentistry crisis that you are experiencing, take advantage of their particular technologically superior and comfy office environment! Summary Darren W. Chaumont, DDS, LLC offers a higher level of customer satisfaction with their urgent dental hours, make sure you call ahead of time and you’ll be approved as a brand new patient. Services TIMOTHY L. ROBINSON, DDS is looking to get fresh clients and is willing to assist anyone, furthermore they offer some weekend as well as night working hours. Before we started work on our portal, we had messages from all over the nation about frustrated people who had encountered severe dental dismay and were simply not able to find anyone open during their desperate time of need. An emergency dentist in Charles LA will best be able to tell you exactly how serious the situation you are facing is, and exactly what you need in the form of medical attention to get back on your feet. Abscesses and the need for root canal therapy are both things that can cause quite a bit of misery once they fully impact you and your weekend, and our portal will find you an after hours dentist in Charles LA to stop that pain once and for all. With any luck , we’ve had the ability to effectively assist you in finding an emergency dentist in Lake Charles LA. Be sure to engage in some research of any dental practitioner you are planning on visiting, we suggest utilizing Lake Charles Chamber of Commerce Dentist Page.